Driving through suburban or rural streets, you’re bound to run across some houses with solar arrays on their pitched roofs. But looking down from an tall, urban building onto the homes and businesses below, you’re likely to see no solar installations at all. Why is that? And, how can people living in cities take advantage of solar power so that it’s affordable and offers a good return on investment? How can you successfully install an urban solar system? To answer these questions and more, we contacted an expert in urban solar energy systems, Morganne Montana. 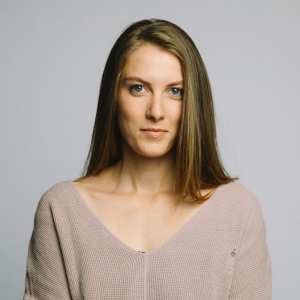 Morganne got into the solar industry following a career in environmental and social advocacy. She’s worked in the industry for many years, and has worn many hats during her time working with solar energy systems. She currently works at Brooklyn SolarWorks based in the Gowanus area of Brooklyn, and can be reached at morganne@brooklynsolarworks.com or (347) 745-8191. What are the challenges of designing solar for urban housing? The biggest challenge for designing solar in urban areas is the permitting process. In New York City, we work with the Department of Buildings (DOB) for design approval, and have to consider fire department regulations for setback requirements. If your home is landmarked, we also have to consider the restrictions of the Landmarks Preservation Commission. For a pitched roof, it’s pretty straight forward, but for flat roofs in the city, there are strict rules regarding the configuration and height of solar installations. We must create a clean design that can pass the DOB requirements as seamlessly as possible. Our goal is to design and install the biggest system possible, while adhering to building and fire codes. What sort of systems are most applicable for urban housing and why? Most urban homes have flat roofs. For a flat roof, there are two options. The first is a solar tilt rack. This is a stainless steel racking design that is bolted into the building rafters. The solar panels are angled to the south to maximize sun exposure. For a solar tilt rack we need to leave a six foot walkway from the front to the back of the roof for firefighters, and stay three feet from obstructions, like skylights. The second option is what’s called a solar canopy. A solar canopy maximizes solar potential because it is elevated on a nine foot truss. The reason it’s elevated is because it must be tall enough for a six foot tall person to swing an ax on the roof, which is required by the FDNY. With a canopy, we can essentially blanket the whole roof with solar, depending on how much energy you use and how much solar power you want to generate. What are the main considerations a homeowner should consider when deciding on a solar configuration? Most homeowners consider utility rates, home value, other house work that can be incentivized by solar, and of course the environment. 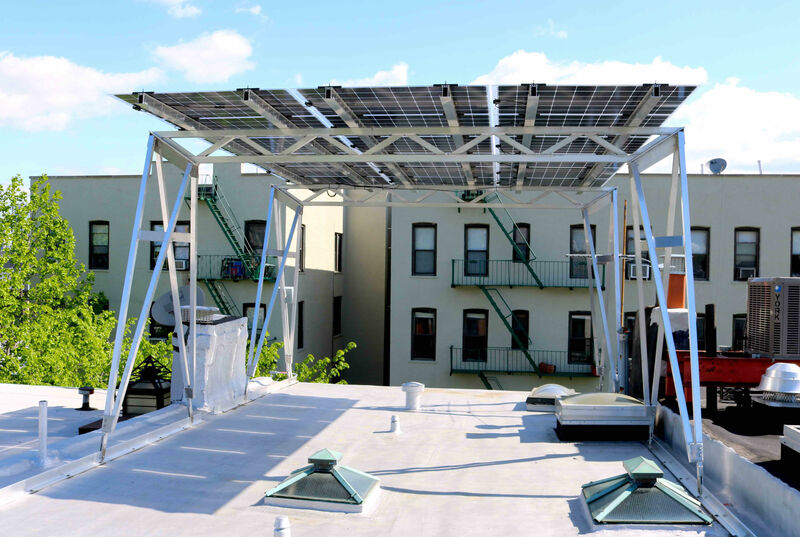 We find the average payback time for a solar system in NYC is 6-8 years. Installers are interested in how much energy a homeowner uses and how much roof space they have to work with. If a building is landmarked, we usually design a tilt rack because it’s generally not visible from the street, which is a requirement of the Landmarks Commission. In terms of energy offset, not everyone covers 100% of their electric bill with solar. Even if your solar system covers 40% of your usage, you are securing close to half of your energy needs. For example, if utility rates go up, 40% of your electricity is paid for, or fixed if you finance it. Inflation only affects 60% of your bill. If a homeowner has other considerations, we work with them to meet their vision and their budget. Tell us about the current tax benefits and other incentives for residential solar energy systems. This year, the federal tax credit is 30% of the cost of the system. The credit is applied to the total project cost, so if you are having roofing work done before you install solar, that would be eligible as well. In New York State, the tax credit is 25% cost of system and is capped at $5,000 total. There is also a New York City property tax abatement that is 20% of the cost of the system cost, which is spread over four years. And finally, the New York State Energy Resource and Development Authority (NYSERDA) has a rebate based on the size of your system. There is an additional credit if you live in a historic area, but typically about 70% of the system is incentivized. What are some changes that are coming to the tax benefits, incentives and energy billing? In 2020, the federal tax credit will go to from 30% to 26%, and then to 22% in 2021-2022. I expect the NYSERDA rebate to go down in the next year or so. 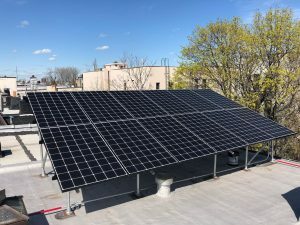 There will also be changes to net-metering in New York in 2020. Net metering is how we trade energy credits with the utility to take advantage of summer sun during the winter months. Right now, when your system over produces in the summer, those excess credits go back to the grid and you get credit for them. Your utility meter spins backwards and you can use those credits in the winter. Currently when you overproduce, ConEd (New York’s electricity company) gives you the full value of that kilowatt hour when you need it. In 2020, the value of a kilowatt hour will no longer be constant. It will be based on market value, which will affect what you get back. It may stay the same, it may be higher, it may be lower. Nobody knows! The take away is that net metering will go from a simple and intuitive system to a more complicated “stacking” system. That said, if you go solar before 2020, you are grandfathered into the current net metering program for twenty years. Based on these benefits, what is an example scenario for cost, tax benefits/incentives and energy reduction? Breakeven: 78 months, or 6.5 years. What sort of lead time would homeowners expect from initial consultation to finished project and what are the steps? From initial site visit to completed project, the average time is two-three months for non-landmarked homes, and up to four months for landmarked homes. Landmarked projects usually add 30 days in order to file and get approval from the landmarks committee. 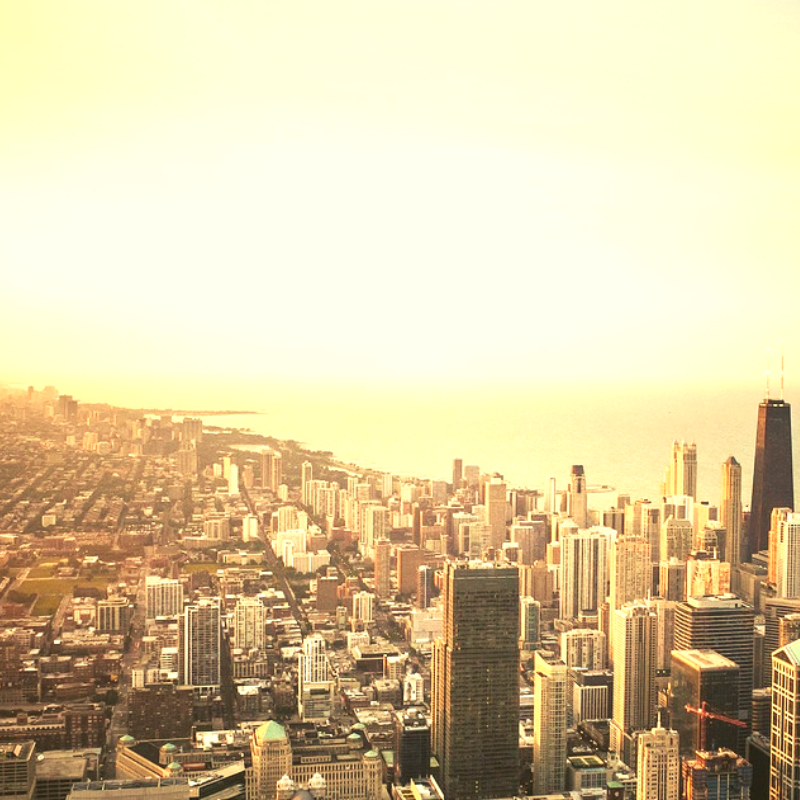 What is the future for urban solar installation and usage? Solar panel technology is evolving but not revolutionizing. We are seeing gains in efficiency for solar panels of about 10 watts per panel per year. The next big change in solar will hopefully be in the form of battery technology. Right now, there are some challenges with batteries that store solar power. One is that they aren’t extremely efficient yet. Most people use them like a generator – for critical loads like a refrigerator or heat pump. They can’t handle long term, large power storage yet, unless you have several. The other challenge in NYC is that lithium batteries can’t be extinguished with water so the FDNY is concerned with potential fire hazards. Because of this, batteries are not legal here yet. You can, however, own batteries in other more rural places, like upstate New York. What does the future of batteries look like and when can we urbanites expect to be “off the grid”? Everyone wants batteries because they can potentially allow you to go off the grid and store your solar power, instead of trading energy credits with the utility. It would be great to see the the city come around to the idea of energy independence. I imagine that we’ll see this happen in the next few years, at which time, we’ll hopefully see a come up in battery efficiency. Either way, you’ll need something to charge them. If you are interested in batteries, my suggestion is to go solar now – take advantage of the incentives so when batteries are accessible, you’ll be ready.